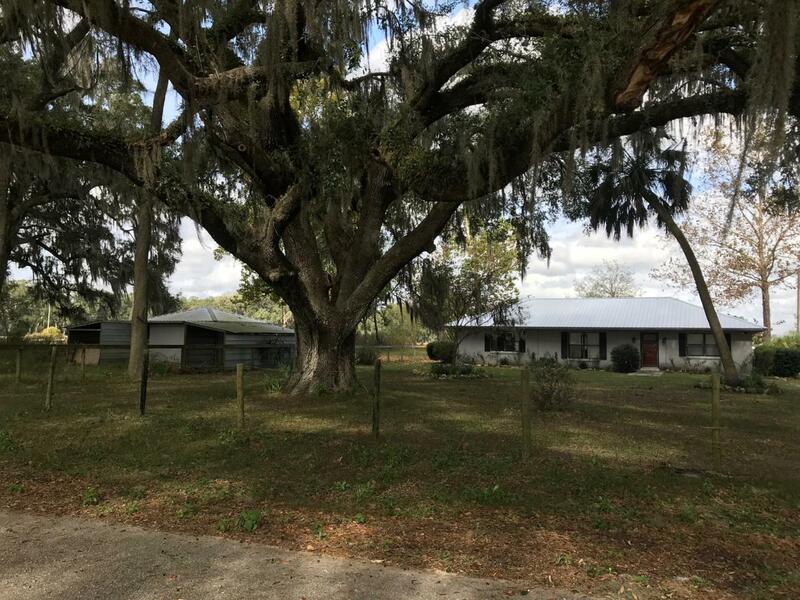 Cute 3/2 CB House on 1.3 acres. Newer Metal Roof, Split Bedroom Plan. Open Floor Plan with the Kitchen overlooking the Living room and Dining Room. Sliders to the screened porch in the rear. There is an outbuilding that could easily be converted to create a Stall or two. Fenced in Board and Wire. There is one L shaped paddock in the rear and side of the home. The front yard is fenced for dogs. This location is absolutely Gorgeous. On a paved Road surrounded by Horse Farms . A huge Old Granddaddy Oaks adorns the Front Yard.. Just 5 minutes from the Growing Town of WIlliston yet tucked away.